The Technology Tournament is an annual event organised by six Harrogate Rotary Clubs for the benefit of local schools. 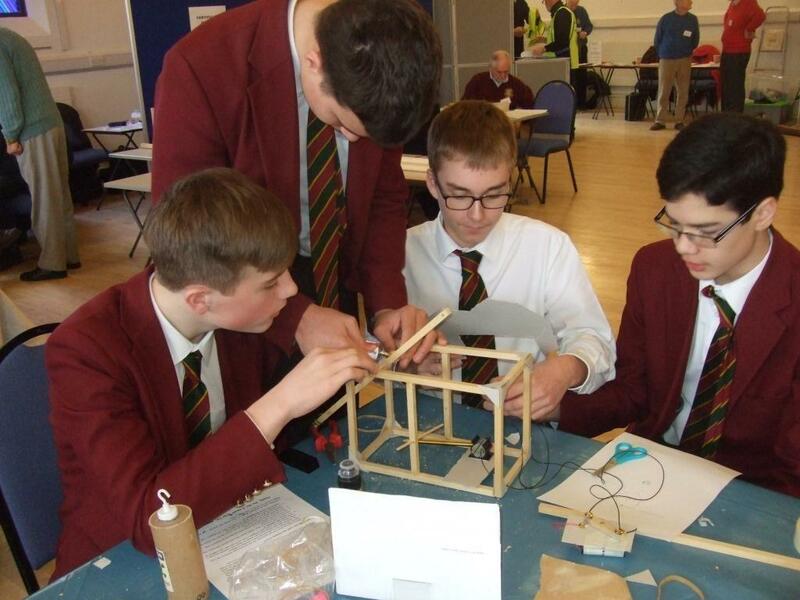 We had a very successful Rotary Technology Tournament on Tuesday 6th February 2018, numbers were down on last year but that one was exceptionally well attended. 9 at Intermediate level and 10 at Foundation level. Queen Ethelburga's Collegiate A Team. Nidderdale High School. Ripon Grammer School. Gold. St. Aidan's C of E School. Ashville College. Ripon Grammer School. Silver. Harrogate Grammer School. Harrogate High School. St. Aidan's C of E School. Bronze. Queen Ethelburga's Collegiate. Rosset School. Ashville College. Awards were presented by the Lady Major of Harrogate and Rotary Club Presidents including our own Mick Bee. Judges:- Eddie, Jim, Keith & Alan.